As the Baby Boomer Generation reaches retirement, a large portion of our society is now faced with issues relating to aging. More importantly, GLBT Baby Boomers—the individuals who sparked the Stonewall era, watched many friends die during the AIDS epidemic, and are now seeing marriage equality slowly spread across the country—are faced with the issue of finding care for themselves or their loved ones that will allow them to enjoy their final years with dignity and respect. These individuals greatly need services that don’t force them back into the closet, but rather embrace and celebrate their experiences while providing care designed to support all individuals—including the GLBT community. In 2012, PFUND and United Way joined together to create the “2012 Twin Cities LGBT Aging Needs Assessment Survey Report.” This report, based off results from a community-wide survey, assessed the needs of the senior GLBT community in relation to what is currently being provided. When a similar survey was conducted in 2002, GLBT respondents noted a significantly alarming lack of confidence with regard to being treated with respect by aging service providers. The goal of this assessment, therefore, was to monitor the improvements of the community’s perception to aging services and point out areas that can still improve. Along with providing information about the GLBT community’s experiences and perceptions to aging services, this survey assessment provides a deep look into the aging GLBT community—particularly regarding who is looking for care, what the community’s needs are, and how the GLBT aging community differs from the general aging public. According to this survey, the GLBT adults who were surveyed were “nearly twice as likely to be a caregiver” to a parent or a partner. Though GLBT adults may be providing more care to others, the survey also noted that GLBT adults were “more likely to live alone, less likely to have a caregiver, and less likely to have children.” Also, survey participants were more likely than the general public to have health-care directives that describe their wishes regarding care, finances, and visitation rights. The needs assessment also noted that, with the exception of support groups, the majority of survey participants preferred services to be GLBT-welcoming over GLBT-specific. This suggests a desire to be connected to the greater community and to be treated like everyone else. Therefore, the need for GLBT-friendly and -educated service providers is great. Whether you’re currently 62 or 22, close your eyes and imagine what your life will be like 20, 30, even 40 years down the line. What will you do? Where will you live? Who will assist you with tasks that have become more difficult to do by yourself? Where will you go to receive the dignified care and respect you deserve? These questions may initially cause fear, anxiety, or uncertainty. But, with the multitude of GLBT-friendly resources for aging adults in the Twin Cities, you can think and prepare for your future knowing you’ll be in good hands. Imagine yourself remaining active in the community. Imagine yourself living in a place where you can safely be yourself and be treated with respect. Imagine yourself being surrounded by loved ones, your friends, and your chosen family. Finally, imagine yourself aging with dignity in a community that truly has your best interests in mind. The following pages provide a deeper look into local aging resources that have the best interests of GLBT individuals in mind. Whether you’re looking for ways to stay active in the community, trying to find a care provider for your partner, searching for a place to live, or preparing for your future, the continually expanding services in the Twin Cities area will help you plan your future with ease. Growing older doesn’t mean your social life should dwindle. In fact, the importance of social activity increases with age! Within the GLBT community, however, it is sometimes difficult to engage in social interactions outside of the bar or club scene, especially if you’re not as young or spry as you used to be. 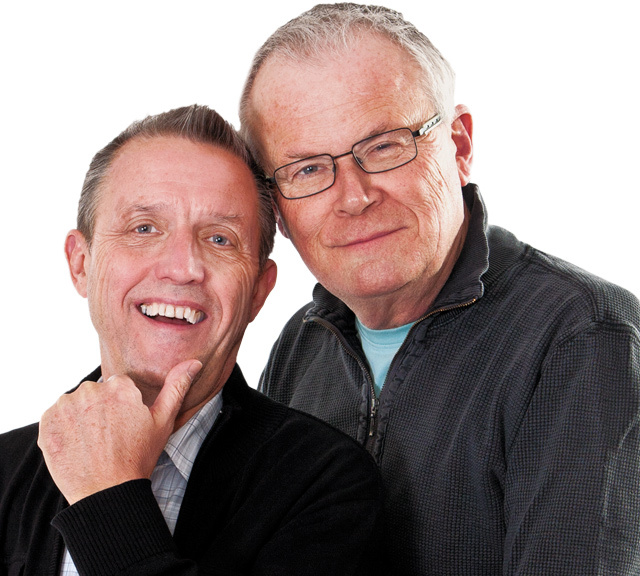 Recognizing the need for seniors to connect to others in the community, two notable GLBT-oriented social groups provide activities and programming to keep you young at heart. Out To Brunch and Prime Timers allow individuals to meaningfully connect with others with similar interests, making the GLBT community accessible and inviting. Out To Brunch, an organization created “to provide a safe, friendly, social network for all lesbian oriented women, regardless of race, creed, age or ability,” has been active in the Twin Cities since 1985. Members enjoy a monthly newsletter with information for numerous upcoming social activities, including Country Dancing, book clubs, movie nights, and educational programming. With activities all across the metro area, opportunities for fun and friendship are endless. Annual membership dues are $15 for a single membership and $26 for couples. Also keeping a high profile in the community are members of Prime Timers. The Minneapolis/Saint Paul chapter, which has been around for 13 years, is part of a larger network of Prime Timers Worldwide. As an organization with a mission to “provide mature gay and bisexual men, and their admirers, with opportunities to come together in a supportive atmosphere to enjoy social, educational, and recreational activities,” the Twin Cities chapter of Prime Timers truly lives up to its goal. Hartigan notes that the group “bridges the generational divide within the community” by providing opportunities for men in their “50s, 60s, 70s, 80s, and 90s” to socialize with each other and with younger men. Some activities include getting together for a monthly discussion group at Wilde Roast Café, singing show tunes at The Bolt Video on Sundays, gathering for movie nights, and planning several reoccurring breakfast groups. When considering who will provide the care for you or your loved ones, it’s important to determine which providers have the proper resources and training to welcome and accommodate GLBT consumers with dignity, intelligence, and respect. According to the previously mentioned 2012 Twin Cities LGBT Aging Needs Assessment Survey Report, less than one in five respondents were confident they would receive quality care from providers of aging services due to their sexual orientation or gender identity. To combat that fear of discrimination—and to give providers the tools they need to support GLBT consumers—Training to Serve provides custom training sessions to help service providers learn more about the GLBT aging demographic. Jennifer Smith, Operations Coordinator for Training to Serve, states, “One of the most basic and ongoing challenges GLBT elders face is homophobia and discrimination due to the lack of awareness of sexual orientation issues among health and community service providers. As a result, LGB&T elders are much less likely to access these services than their heterosexual peers. When services are not accessed as needed, it makes GLBT elders more susceptible to psychosocial issues and challenges such as isolation, depression, substance abuse, and institutionalization.” Another challenge GLBT individuals may face is lack of legal recognition of partners, especially when it comes to visitation and decisions. Deborah Delaney from Flagship Franchises sings the praises of Training to Serve: “I can’t tell you how wonderful that group is. They’re training assisted living facilities; they’re training day and in-home health. It was the most incredible training.” She suggests looking for care providers who have gone through Training to Serve programming when individuals are looking for care for themselves or loved ones. Training to Serve truly gives senior care providers the tools and knowledge needed to properly care for GLBT seniors with compassion and respect. Trusting relationships are key to home health assistance. Many GLBT individuals find themselves in a caregiving role—whether it is for parents, partners, or friends. Often, the need for more professional medical care is warranted, but the fear of discrimination or improper care prevents caregivers from entrusting their loved ones into the care of medical professionals. But, with SarahCare (part of Flagship Franchises) and Right At Home, individuals can rest assured that they will be treated with the highest level of care from professionals trained to accommodate GLBT persons. If in-home care is needed, individuals can look to Right at Home, where the Bloomington franchise is actually gay-owned and -operated. 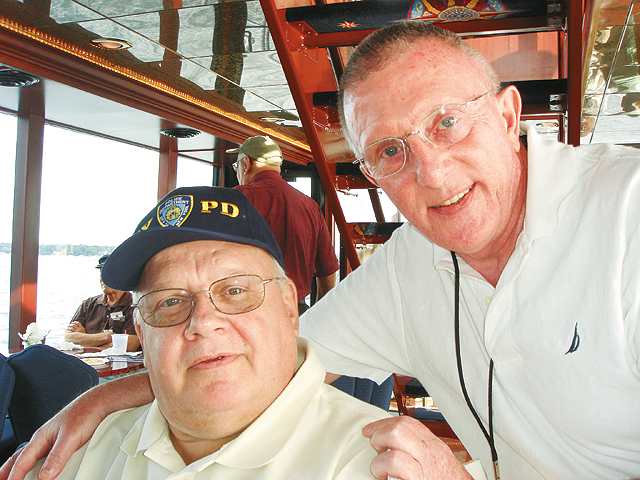 Paul Blom and Bob White, who are celebrating 19 years as a couple, build the culture of the company around “mutual respect and care for everyone.” Right at Home provides companionship while assisting with homemaking, physical assistance, hygiene, wellness, nursing, and more. Clients can create custom care plans to reflect the care they need and desire. The historical and cultural experiences of GLBT people affect how they respond to the idea of in-home care—making them wary of outside assistance. Blom recalls, “I recently had an elderly gay couple in their eighties that was referred to our services by their elder law attorney. After several conversations on the phone, they decided that they were ready to meet with us. They were, however, not ready to have us come to their home, so we met in our offices.” Prior to press, Blom noted that the couple allowed Right at Home to visit the home, marking the first time the couple had visitors in over 20 years. Spirit on Lake, GLBT-specific housing in Minneapolis. 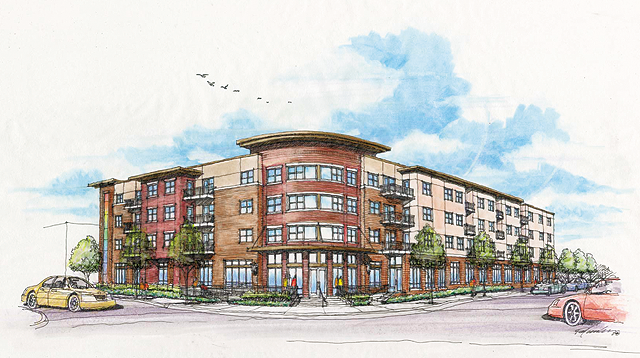 Rendering courtesy of PRG, Inc.
One main concern with regard to aging is where to live. Many GLBT individuals who have lived on their own for most of their lives may feel isolated, or they may begin to see a large home or a large garden as a burden when daily maintenance chores become more cumbersome. Independent living facilities become more attractive to aging people who want to be able to enjoy their lives and manage their living spaces more effectively. Village Shores, located in Richfield, and the soon-to-be constructed Spirit on Lake in Minneapolis both offer seniors a warm and welcoming home regardless of sexual orientation or gender identity. GLBT-friendly and GLBT-specific living facilities are much needed by the community. Barbara Satin, a 78-year-old transwoman who devotes the majority of her time to faith issues and aging issues, recognizes the need for GLBT housing: “Aging issues are often neglected within the GLBT community, and the special needs and concerns that GLBT people have as we age are not well understood by senior care providers.” Satin notes that the National Resource Center on GLBT Aging also affirms the differences between the heterosexual aging experience and the GLBT aging experience, saying that GLBT individuals are “twice as likely to be single, four times as likely to be without children, twice the poverty rate, and twice as likely to delay health care.” Because the GLBT community doesn’t have the same safety net that many others enjoy, the need for a stable, supportive environment increases. For people who are looking for a GLBT-welcoming (but not GLBT-specific) living association, Village Shores in Richfield offers many amenities and perks for its residents. Apartments ranging from one bedroom to two bedrooms/two bathrooms allow people 55 and over to choose the amount of space they need. Along with traditional independent living, Village Shores offers an Assisted Living Neighborhood where residents can get the personal care they need to live with dignity and ease. Residents can also enjoy in-house dining, a variety of community activities, heated parking, shuttle services to health care providers, and more. In addition to providing access to affordable housing, Spirit on Lake will also have five units available specifically for individuals who have experienced homelessness as part of “Minnesota’s effort to end homelessness.” All residents will be able to enjoy the close proximity to Abbott Northwestern Hospitals and Clinics, Midtown Global Exchange, the Midtown Greenway, and public transportation. As one of the strongest public advocates for Spirit on Lake, Barbara Satin shares why she is so active in supporting the aging GLBT community. She says, “Part of my rationale for being involved with aging issues is pure self-interest: I am old, and I want to be sure when I need care that those who provide it are aware of my issues, are sensitive to my needs and concerns, and are respectful in the way in which they deal with me as a transgender woman. The only way I can be sure that will happen is if I get involved directly to be sure such sensitivity and awareness is there for all my GLBT sisters and brothers.” Satin’s sentiment is truly a reflection of “Capturing the Spirit of Living Out,” and Spirit on Lake will continue to connect and inspire all individuals who live there. With all the resources available in the Twin Cities area, and the commitment the area has made to continue to improve the way it meets the needs of GLBT seniors, there is no need to fear growing old. Such strong support allows individuals to make educated and personalized decisions as to how they will spend their final years. Remaining active through Out To Brunch or Prime Timers, trusting the care of yourself or your loved ones to Trained to Serve-certified providers like SarahCare and Right at Home, or living at GLBT-welcoming establishments like Village Shores and Spirit on Lake will allow you to continue to enjoy everything life has to offer. After all, shouldn’t life get better with age? Croghan, C.F., Moone, R.P., & Olson, A.M. (2012) Twin Cities LGBT Aging Needs Assessment Survey. Minneapolis: Greater Twin Cities United Way and PFund. MetLife Mature Market Institute. (2010). Still Out, Still Aging: The MetLife study of lesbian, gay, bisexual, and transgender baby boomers. https://www.metlife.com/assets/cao/mmi/publications/studies/2010/mmi-still-out-still-aging.pdf.